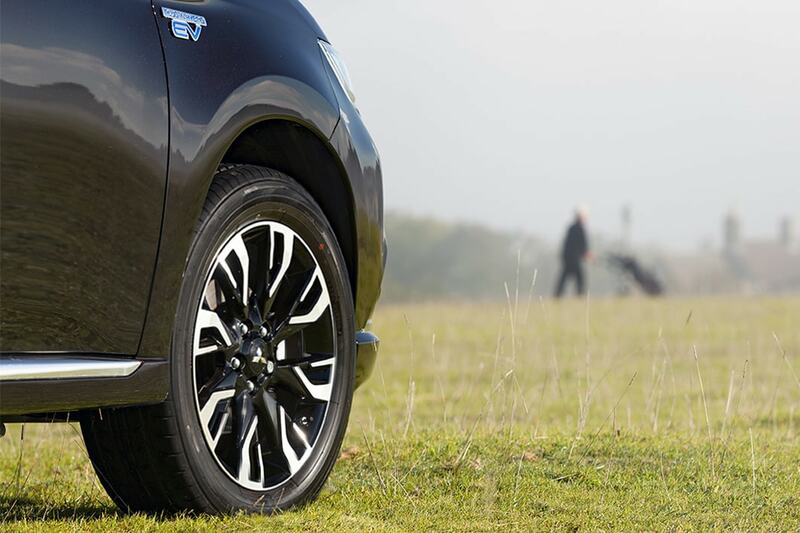 Are you are looking for a new hybrid SUV? 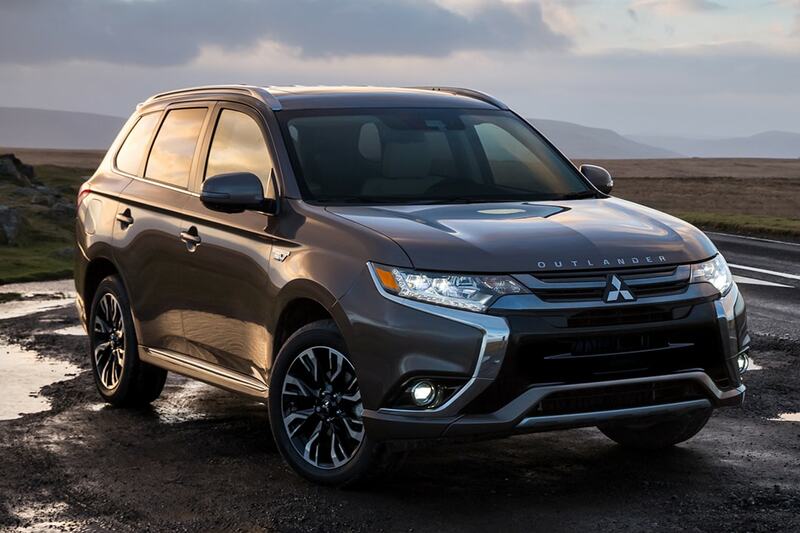 If so, take a look at the brand new 2018 Mitsubishi Outlander PHEV. 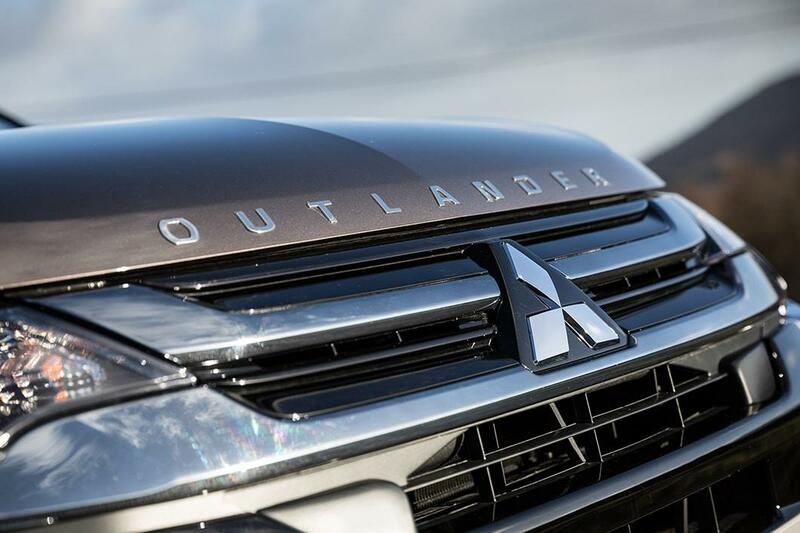 This is the very first time the Outlander PHEV plug-in hybrid is being sold in the United States! 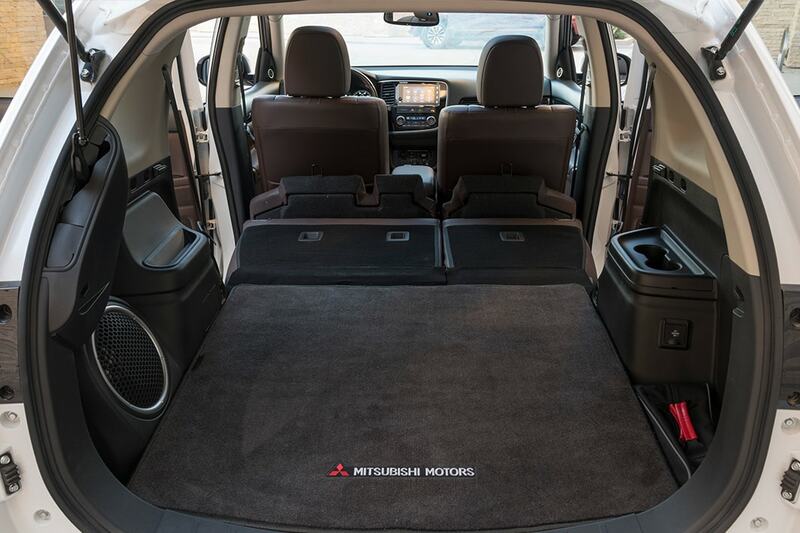 Each model makes room for five passengers, comes equipped with tons of great features and ample cargo room! 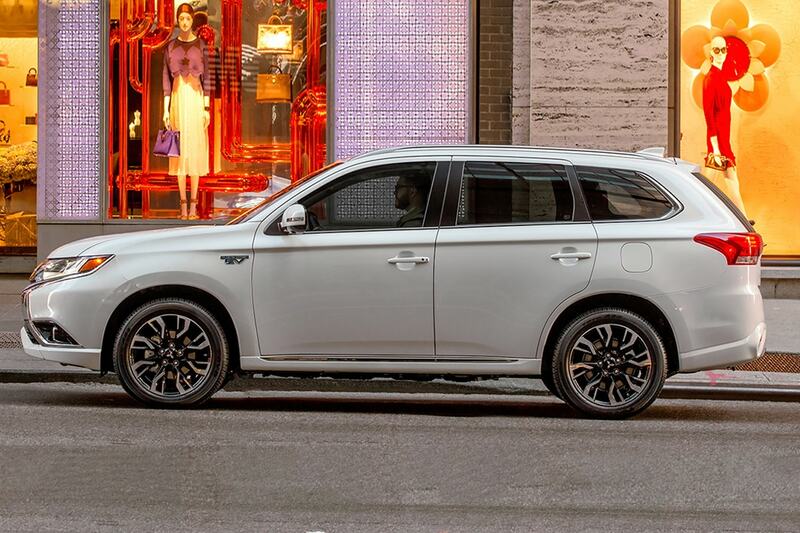 Check out the rest of our 2018 Mitsubishi Outlander PHEV to learn more! What trim levels does the 2018 Outlander PHEV offer? There are two available trim levels for the 2018 model year. 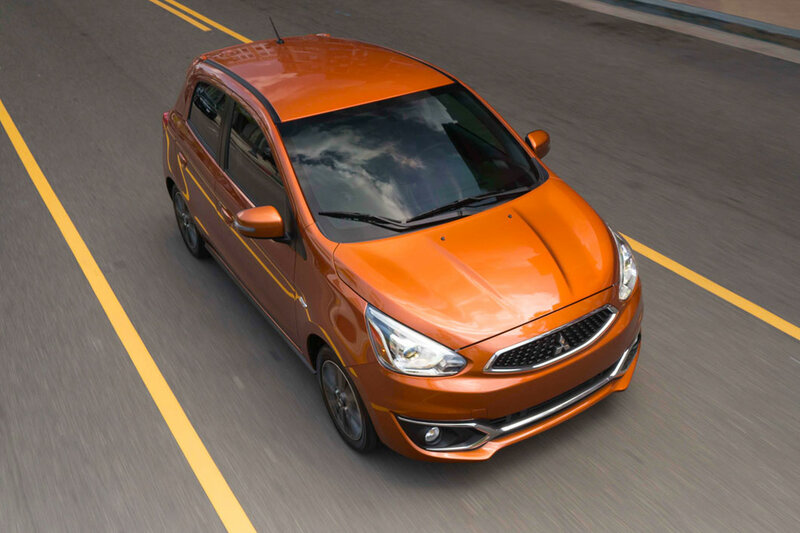 The entry-level SEL model comes loaded with great features. Apple CarPlay and Android Auto smartphone integration, dual USB ports, a 7-inch touchscreen interface, a six-speaker audio system, Bluetooth connectivity, voice controls, and a rearview camera are all standard technology features. 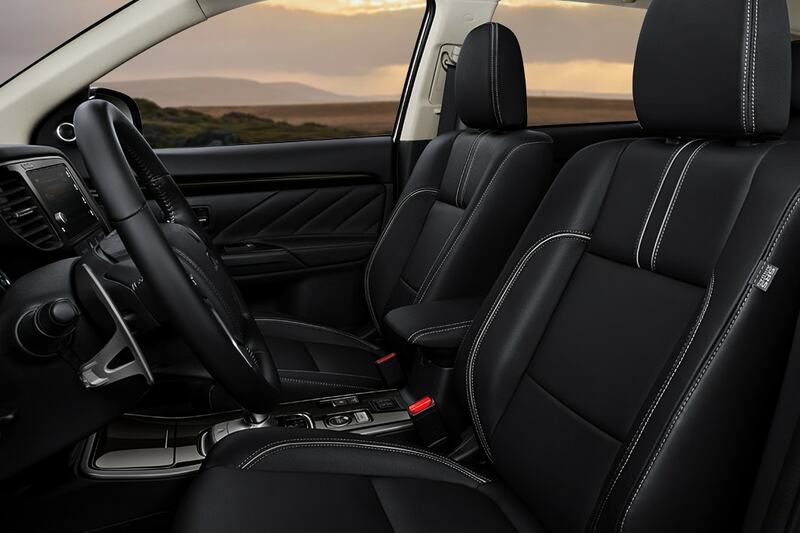 Other standard features include automatic dual-zone climate control, reclining rear seats with 60/40 split folding, power-adjustable and heated front seats, and leather upholstery. As well as push-button start, keyless entry, a power liftgate, automatic wipers, heated side mirrors, fog lights, automatic headlights with LED accents, and 18-inch alloy wheels! The top of the line GT model builds on the SEL model with features like automatic high beams, a nine-speaker Rockford Fosgate sound system, dual AC power outlets, a multiview camera, a heated steering wheel, a sunroof, and LED fog lights and headlights. There are two available packages for 2018 Outlander PHEV models. The Entertainment package adds wireless headphones and a rear-seat DVD player with a remote control and a Towing package which adds trailer-prepped wiring harness and tow hitch. Available stand-alone options include cargo mats, lower air dams, and side mirror covers. What type of powertrain is offered for the 2018 Outlander PHEV? 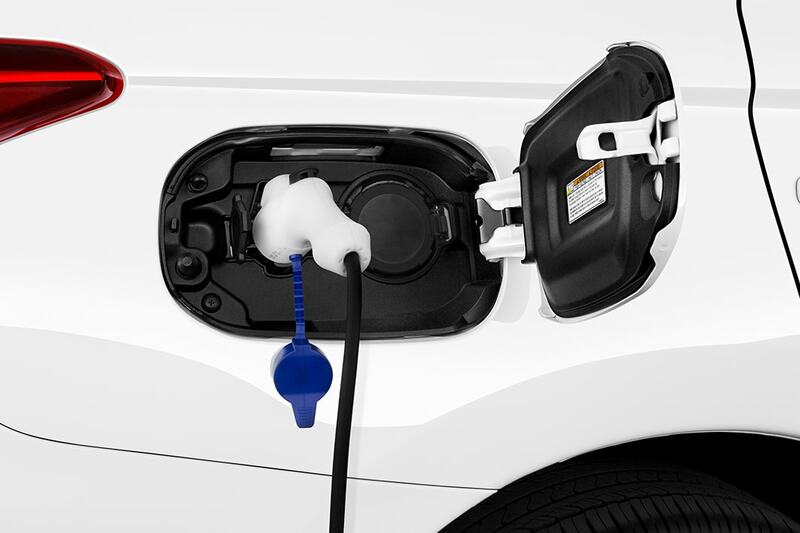 Both 2018 Outlander PHEV models utilize the same powertrain. 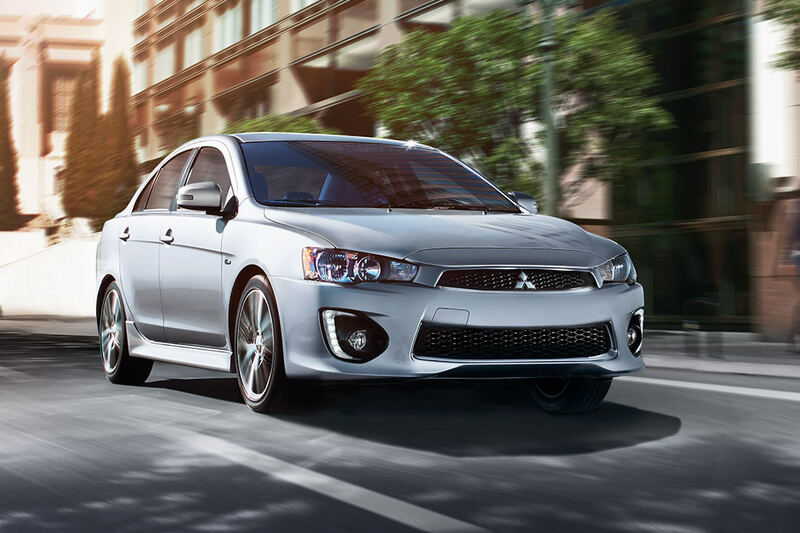 The SEL and GT models are powered by a 2.0-liter four-cylinder engine united with a 60-kilowatt electric motor. The total system outputs 197 horsepower. This combination powers the front wheels while a second 60-kW motor sends power to the rear wheels. The model comes with sophisticated computer processing that regulates the way power is doled out to all four wheels. The PHEV does allow drivers to manually engage a 4WD lock mode if they would like to. 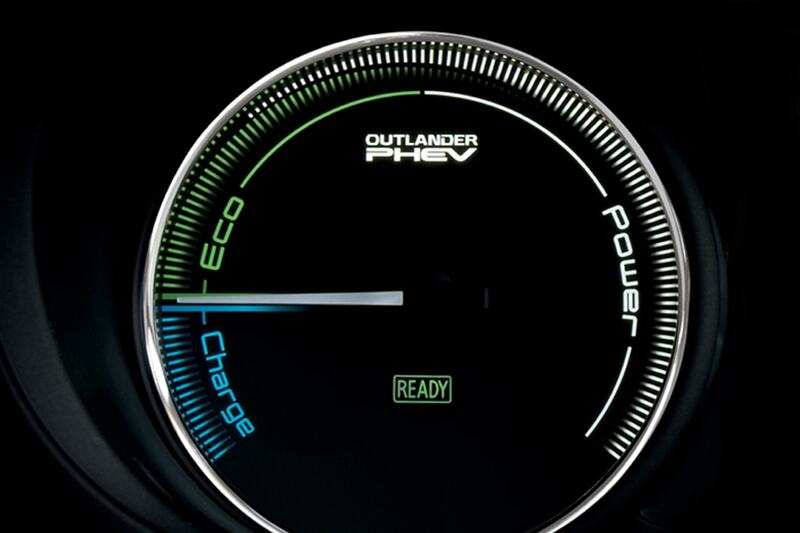 When it comes to fuel economy the Outlander PHEV can travel 22 miles on a full charge and 74 MPGe. 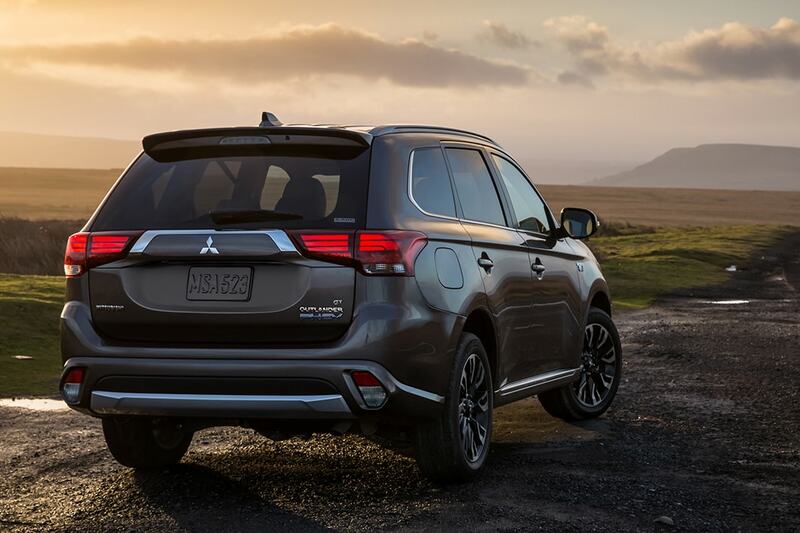 The 2018 Mitsubishi Outlander PHEV makes both drivers and passengers safety and security a priority. Standard features include an anti-lock braking system, traction control, active stability control, hill start assist, a tire pressure monitoring system, blind spot warning with rear cross traffic alert, drivers knee airbag, front seat-mounted side airbags, and advanced dual-stage SRS front airbags. As well as the LATCH system, child safety rear door locks, an anti-theft engine immobilizer, an anti-theft alarm system, and the RISE body construction. 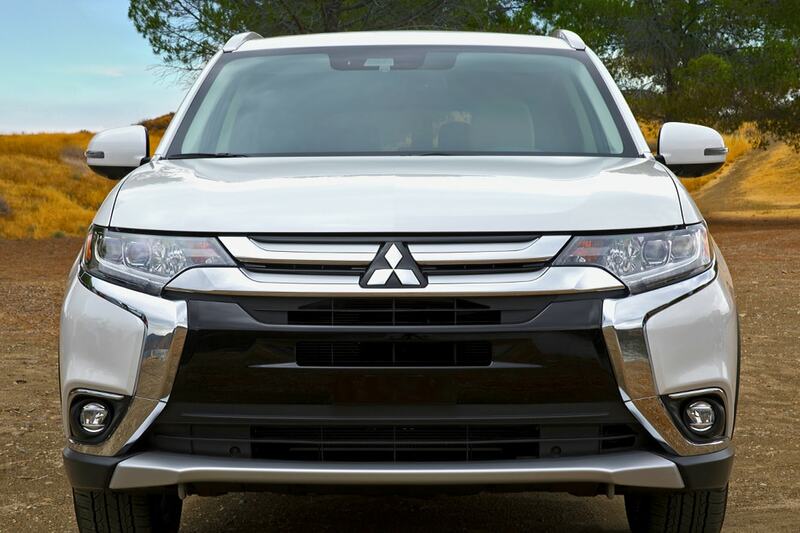 The 2018 Mitsubishi Outlander PHEV is a capable and efficient SUV that is perfect for those that are looking to enter the plug-in hybrid market but need a little more passenger and cargo room! Both models are well equipped and offer great additional features so no matter which trim level you choose, we know that you will be happy! 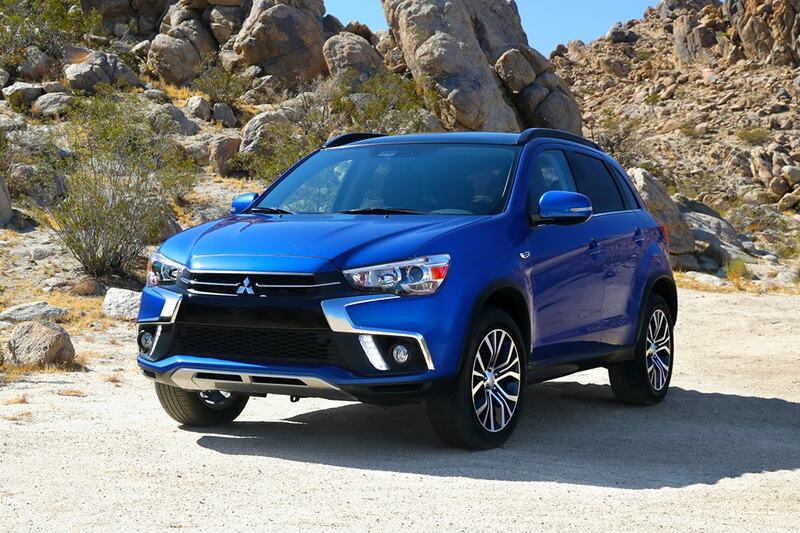 Come on in today to check out at an Outlander PHEV today and take it out for a test drive!